Swedish actress Bibi (Berit Elisabeth) Andersson passed away on April 14th. 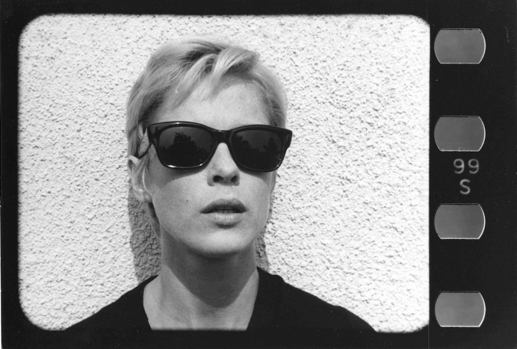 Best known for her many deep and complex roles, including 13 projects with master filmmaker Ingmar Bergman, Andersson reached international acclaim in such classics as The Seventh Seal (1957), Wild Strawberries (1957), Persona (1966), and Scenes From a Marriage (1973). I first saw her in Persona (see images below), when I was running a film series in college. My entire aesthetic world shifted on its axis when I became obsessed with the Janus and Kino film catalogs. 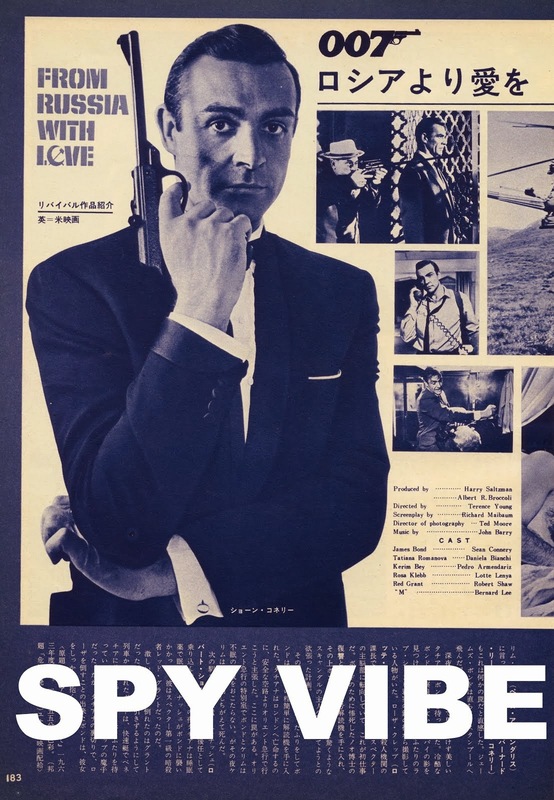 These guides were both a resource and an education to me as a programmer leasing films, and they opened my eyes to the cinematic renaissance that had been growing internationally during the post-war era. 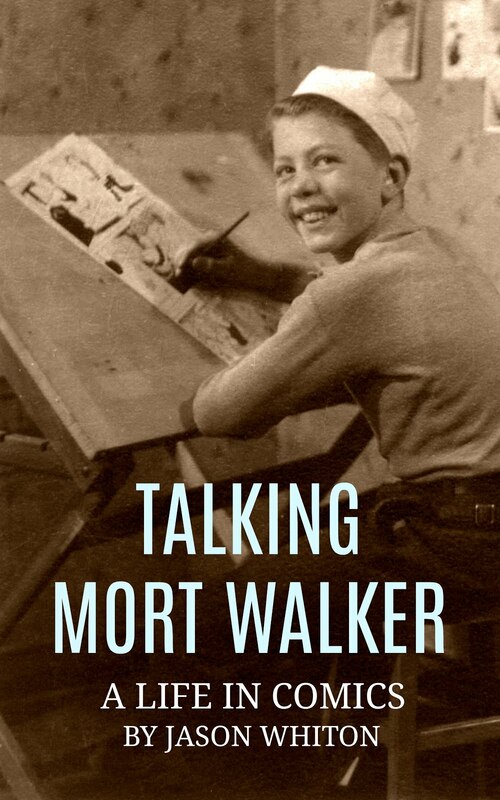 The artistic giants I found inside those pages made camp in my internal landscape and thankfully never left. And Persona... 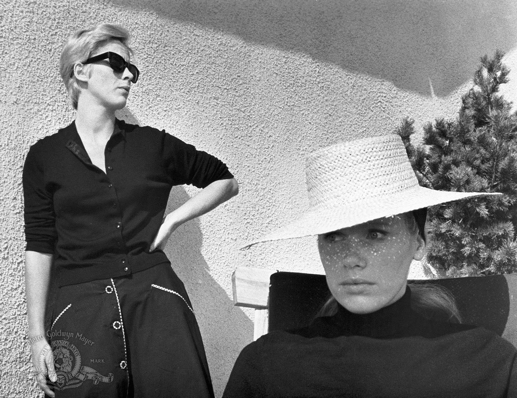 I had never seen anything like it before, yet the layers of the human experience I saw expressed by Bergman, Bibi Andersson, and her co-star Liv Ullmann was intense, troubled, powerful, and yes, even true to life. What a band of creatives. I hate to think what our last 50 years would have looked like without their courage and artistry. Bibi was 83. More info at the Ingmar Bergman Foundation. 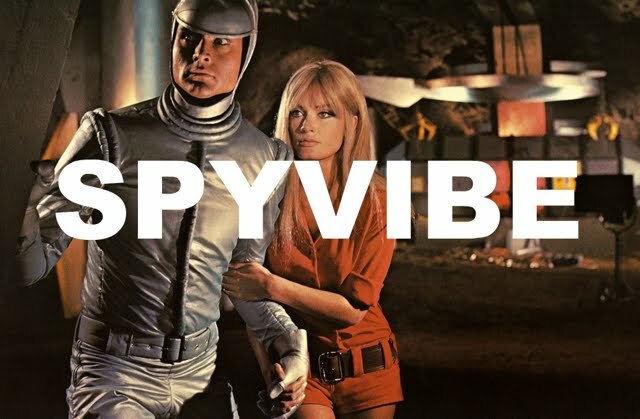 Selected Spy Vibe Posts: Bubble Girl 63, ITC Soundtracks, Spy Vibe Radio: Public Eye, UFO Prime, Spaceship to Mars, Modesty Blaise Companion, Spy Vibe Radio: Fantomas, George Day, Fantomas Blu, Dark Shadows Doc, Bedazzled Blu-ray, Mary Quant Exhibit, Laika Calypso, Lost in Space Japan, Spy Dust Calypso, Atomic Cafe, John Barry Mono, Interview: John Barry Book, Land of the Giants Score, Skyfall Concert, Dearest Emma, Spy Vibe Radio: Upperseven, Ogilvy at Elstree, Mabuse Propaganda, Bond Beatles Day, Spy Vibe Radio: Liquidator, Diabolik LP, Fab Dresses, Eurospy Music Collection, Beetle Bailey in West Berlin, Why Mort Walker?, Spy Vibe radio: The Beatles Help!, Avengers Critical Guide, The Spotnicks, Benny Spies, James Pond 0017', Satire Stones, Annette Andre Book, Cat Day, Spy Vibe Radio: Get Smart, Caine: My Generation, Interview: Ian Ogilvy, Horror of Party Beach, Sylvie Vartan Renown, Ringo At 78, Dark Shadows Strips, Spy Vibe Radio: Flint, Archie Batman 66, Paul at 76, Beatles Pac-Man, Spy Vibe Radio: Jerry Cotton, The Invaders, 007 Horowitz Book Tour, McGoohan/Prisoner Event at Elstree, The Prisoner Interviews Vol 1, British Underground Press, Interview: Fab4 Mania, Bond Cocktail Book, Bond at Bletchley, Spy Smasher, Spy Vibe Radio: Peter Gunn, Agent Zero M, New Prisoner Comic, Dr. No Villains Edition, Spy Vibe Radio: Danger Diabolik, Dr. No 60th, Oy-Oy-Seven, Spy Vibe Radio (UFO), Cold War Comic Strips, Thunderball Event, Mission to India, Mort Walker Celebration, Peter Wyngarde Celebration, Batman 66 Exhibit, Prisoner Fifty Event, Ian Fleming Publications 2017-2018, Interview: Ed Hulse Pulp, Avengers Audio Drama, Interview: Callan At 50, Interview: Playboys, Spies, Private Eyes, TWA Returns, Spy Vibe Radio 8, Interview: Ryan Heshka, Mid-Century Modern Schulz, Agent Werewolf, Johnny Sokko 50th, Interview: Trina Robbins, Eddie Izzard, The Prisoner Capt Scarlet 50th, Hugh Hefner R.I.P., Jack Good R.I.P., Interview: Shaken Not Stirred, Callan 50th, Spy Vibe Radio 7, The Prisoner 50th Event, Spy-Fi Event, Kaho Aso 007, Two Million, Bo Diddley, Carnaby Pop, Le Carre Events, Billy Bragg Skiffle, Elvis 68, Jack Kirby The Prisoner, Casino Royale Concert, Review: The Prisoner Vol 2, Interview: The Prisoner Essential Guide, Maud Russell Mottisfont, Spy Vibe Radio 4, Batman Gallants, Adam West R.I.P., Village Triangle, Roger Moore R.I.P., Spy Vibe Radio 3, Sgt Pepper 50th, Satanik Kriminal OST, 60s Overdrive, Make Love in London, Spy Vibe Radio 2, Spy Vibe Radio 1, James Bond Strips, Propaganda Mabuse, Interview: Police Surgeon, XTC Avengers, 1966 Pep Spies, Batman Book Interview, Exclusive Fleming Interview, Avengers Comic Strips, Robert Vaughn RIP, UNCLE Fashions, Thunderbirds Are Pop!, Interview: Spy Film Guide, Lost Avengers Found, The Callan File, Mission Impossible 50th, Green Hornet 50th, Star Trek 50th, Portmeirion Photography 1, Filming the Prisoner, Gaiman McGinnins Project, Ian Fleming Grave, Revolver at 50, Karen Romanko Interview, Mod Tales 2, Umbrella Man: Patrick Macnee, New Beatles Film, The Curious Camera, Esterel Fashion 1966, Exclusive Ian Ogilvy Interview, 007 Tribute Covers, The Phantom Avon novels return, Ian Fleming Festival, Argoman Design, Sylvia Anderson R.I.P., Ken Adam R.I.P., George Martin R.I.P., The New Avengers Comics, The Phantom at 80, 007 Manga, Avengerworld Book, Diana Rigg Auto Show, The Prisoner Audio Drama Review.